The Project aims to significantly reduce the exploitation of labour migrants in the region through increased legal and safe migration and improved labour protection. 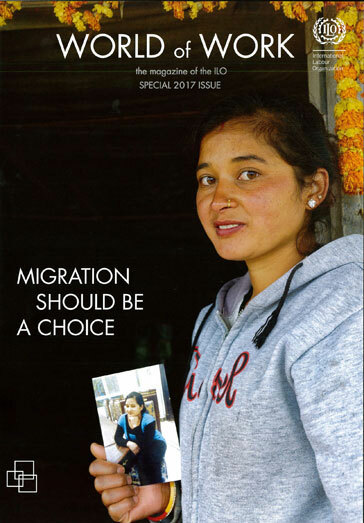 This year’s edition of the World of Work magazine highlights themes discussed by the ILO’s 106th International Labour Conference (ILC), including migration. Reforming migrant worker visa-sponsorship schemes in the Middle East can benefit the economies of receiving countries as well as the migrant workers themselves. Employment situation in Latin America and the Caribbeanis a twice-yearly report prepared jointly by the Economic Development Division of the Economic Commission for Latin America and the Caribbean (ECLAC) and the Office for the Southern Cone of Latin America of the International Labour Organization (ILO). 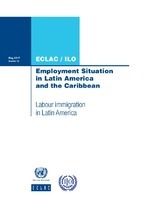 The present edition analyzes the labour market performance in Latin America and the Caribbean in 2016 and labour immigration in Latin America. The objective of this guidebook is to provide Lebanese background and experiences from the current context adding to the ILO guidebook for designing innovative Public Employment Programmes. Lebanon is experiencing a growing labour supply and increasing pressure on the labour market as a result of the Syrian refugee crisis. The Committee of Experts on the Application of Conventions and Recommendations has just published its annual General Survey on member States' national law and practice concerning migrant workers. 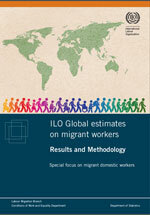 The statistical study provides estimates of the proportion of labour migrant workers among the total number of migrants worldwide. It outlines the regions and industries where international migrant workers are established and includes a specific focus on migrants in domestic work with updated numbers. 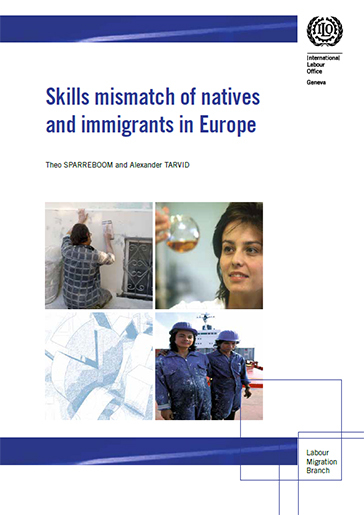 In this Technical Report several methodologies are used to analyse trends in skills mismatch of natives and immigrants in Europe. Migration is primarily a labour issue. It concerns the movement of workers who cross borders to find employment, as well as the necessity of equal treatment, good working conditions and rights for these workers. The purpose of this manual is to guide the trade union movement's participation in shaping migration policies by promoting sound labour migration practices and reaching out to migrant workers. It aims to ensure that migration benefits the countries of origin as well as destination countries, and both migrant and non-migrant workers. Provides summaries of the contents of ILO Conventions and Recommendations by subject matter. Report of the ILO Director General to the International Labour Conference. Migration is growing and is likely to continue to do so. It has moved centre stage in national, regional and global policy agendas, bringing with it not only a sense of urgency in societies and among decision makers, but also a set of controversies which can be damaging to social coherence if left unaddressed. Despite the positive experiences that can and should be cited, migration is still too frequently associated with unacceptable labour abuses in the face of which inaction is an abdication of responsibility. Building on the work that has been undertaken recently in the ILO and in the multilateral system at large, there is real need and advantage in taking stock of what has been done and then identifying with greater clarity what has still to be achieved. The ILO Multilateral Framework on Labour Migration: Non-binding principles and guidelines for a rights-based approach to labour migration aims to assist governments, social partners and stakeholders in their efforts to regulate labour migration and protect migrant workers. 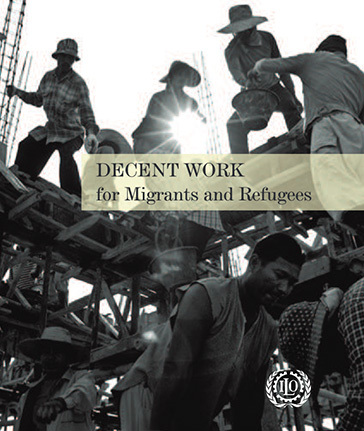 It provides a comprehensive set of rights-based guidelines and principles so as a global compilation of good practices on labour migration developed by governments and social partners. KUALA LUMPUR (THE STAR/ASIA NEWS NETWORK) - The Malaysian immigration department has been swamped with thousands of foreign workers and their employers in the last few days as they try to apply for work permits before a registration deadline on Friday (June 30). Many veteran journalists, but not only these, surely noticed that we are all of a sudden bombarded again from all-over with mentions of Watergate. Books like George Orwell’s 1984 are on display at bookstores and an air of danger to freedom of speech and freedom of the press is spreading slowly like a dark cloud over the Western Hemisphere, raising old fears.